Line, the popular messaging app from Japan based Naver, has just announced that it has surpassed its 300 million users. All we can say is this: Wow. “We are extremely pleased to have achieved our target of 300 million users for the year in such a short time after clearing the 100 million user mark only in January. As the global market shifts towards smartphones, LINE has made its mark by providing value as a tool that stimulates communication through its expressive sticker messages, convenient voice and video calls, and games that users can enjoy with their LINE friends, setting it apart from other simple communication tools that merely function as text messengers,” said Akira Morikawa, CEO of Line Corporation. 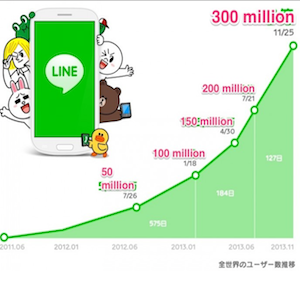 Line’s 300 million user-base comes almost exactly four months after reaching 200 million this summer. It took six months to grow from 100 million to 200 million, but only four months to hit 300 million users. 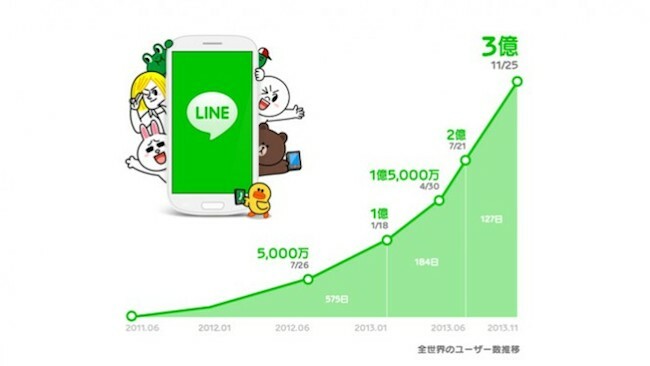 Line told technology blog Tech in Asia that it’s aiming at 500 million in 2014. One of the core feature which provided LINE users an extra reason to stay on with the mobile chat application is its stickers. The company offers localized stickers in many markets, and users can pay to get premium sticker packs. These sticker packs generates over US$10 million in monthly revenue for the company. Other than LINE, other mobile applications popular among smartphone users include Whatsapp, KakaoTalk, WeChat and many more. However, LINE stands out in terms of revenue generation. Currently, it is bringing it nearly US$100 million in quarterly revenue.